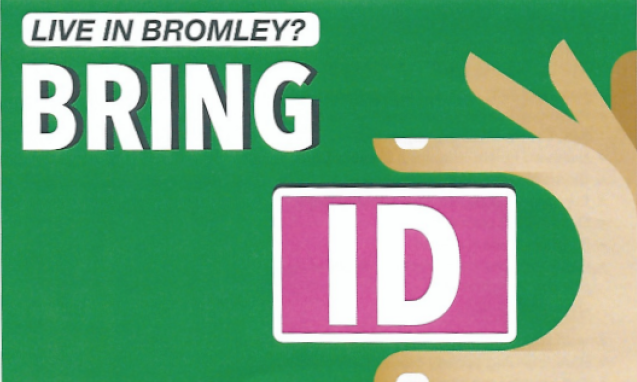 Bromley is a borough that is highly unlikely to change hands on 3 May and is in that sense a logical choice of local authority for the government to experiment with compulsory voter ID. The others are Woking, Gosport, Watford and Slough. Pilots were recommended by the Electoral Commission in 2014 and reports of “personation” at polling stations increased from 21 during that year to 44 in 2016. In December 2016, the government agreed with Eric Pickles that they should take place in 18 areas the Commission had identified as being “most at risk of allegations of electoral fraud”. The only London borough on that list was Tower Hamlets, but a change of mind has clearly taken place. Here’s the leaflet Bromley Council has produced. The arguments about requiring people to produce one or two pieces of approved identification have been quite thoroughly aired: the government thinks the change likely to be needed to prevent voter fraud and consequent erosion of confidence in the electoral system; opposition parties say there is scant evidence that personation is a significant problem and that the real threat to the system is the exclusion of young, more mobile and poorer people and minority groups from participating and lower turnouts that widespread compulsory ID would cause. Indeed, Labour people have accused the Tories of simply wanting to make it more difficult for Labour supporters in particular to take part in the democratic process. It will be interesting to see how turnout does respond to the Bromley pilot and whether any swings in parties’ vote shares there differ markedly from those in nearby or roughly comparable boroughs.